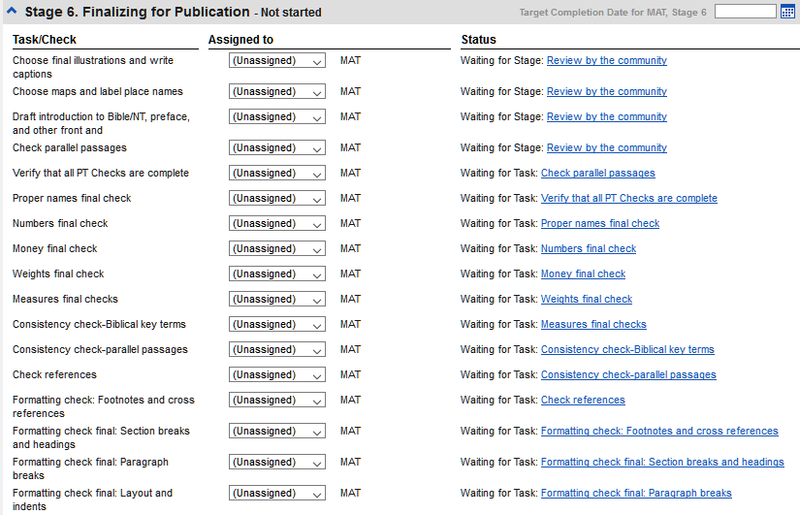 The sixth stage of a translation project (or fourth stage for UBS) is finalizing for publication. This involves images, extra material, checking parallel passages and a number of other final checks. Go to the verse where you want the illustration. Teacher's Note: The NT Maps Biblical Terms list is not a standard list in Paratext 8. It is available here: (( https://raw.githubusercontent.com/erros84/PTManuals/master/Resources/CombinedNTMapBiblicalTerms.xml|https://raw.githubusercontent.com/erros84/PTManuals/master/Resources/CombinedNTMapBiblicalTerms.xml )) and, once downloaded, the file should be copied into (( C:\My Paratext 8 Projects|C:\My Paratext 8 Projects )). Confirm that there are no issues on any of the checks. Check that all names have an rendering (add if necessary). Redo the module FC: Formatting checks. The parallel passages need to be consistent but they do not always need to be exactly the same. The Parallel Passages tool displays the various passages and highlights the text which is the same. But it is the meaning (not necessarily the form) that is important. use the Parallel Passages tool to compare the verses. open a quick reference window in Paratext to see another passage while you are translating. open a third passage in a window. Navigate to the desired chapter and verse. Tools > Parallel passages A window is displayed showing a list and parallel passages. Choose as appropriate The display changes. Click on a line of references in the top pane. The texts are displayed in the bottom pane. Text is shown in green when the text is exactly the same as in the other passage. Text is shown in yellow when it has the same meaning (thought) even though it is not exactly the same as in the other passage. If the text is green in Greek, then your text should also be the same. Normally, if the text is different in the Greek than it should be different in your text, but not always. If two passage need to be the same, you should choose one (normally your later translation) and copy it over the other. Be careful when there is more than one verse. You don’t want to paste the \v. Click the check box beside the reference. Click ab icon under the passage reference. A comparison window is displayed in Paratext. Change the text as necessary. Click the check box to mark it as finished. 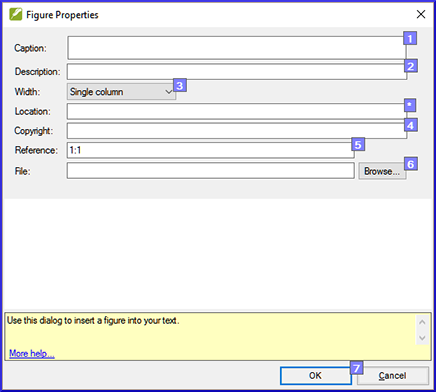 Tools > Quick reference (Ctrl+q) A window opens with the scroll group set to none. Change the reference to the other passage. Change the scroll group from [A] to None. 3 MAT 1:1 (grey) c No text or verse no. missing 3 C No text/verse no.